Lancaster MA et al. (2017) Guided self-organization and cortical plate formation in human brain organoids. Nature Biotechnology 35(7): 659–66. Birey F et al. (2017) Assembly of functionally integrated human forebrain spheroids. Nature 545(7652): 54–9. Suga H et al. (2011) Self-formation of functional adeno- hypophysis in three-dimensional culture. Nature 480(7375): 57-62. Wataya T et al. (2008) Minimization of exogenous signals in ES cell culture induces rostral hypothalamic differentiation. Proc Natl Acad Sci U S A 105(33): 11796–801. Muguruma K et al. (2015) Self-organization of polarized cerebellar tissue in 3D culture of human pluripotent stem cells. Cell Rep 10(4): 537–50. Muguruma K et al. (2010) Ontogeny-recapitulating generation and tissue integration of ES cell-derived Purkinje cells. Nat Neurosci 13(10): 1171–80. Jo J et al. (2015) Midbrain-like organoids from human pluripotent stem cells contain functional dopaminergic and neuromelanin-producing neurons. Cell Stem Cell. 19(2): 248-57. Zhu Y et al. (2013) Three-dimensional neuroepithelial culture from human embryonic stem cells and its use for quantitative conversion to retinal pigment epithelium. PLoS One 8(1): e54552. Lancaster MA and JA Knoblich. (2014) Generation of cerebral organoids from human pluripotent stem cells. Nat Protoc 9(10):2329-40. Lancaster MA et al. (2014) Organogenesis in a dish: modeling development and disease using organoid technologies. Science 345(6194): 1247125. Watanabe M et al. (2017) Self-Organized Cerebral Organoids with Human-Specific Features Predict Effective Drugs to Combat Zika Virus Infection. Cell Reports 21(2): 517–32. Gabriel E et al. (2017) Recent Zika virus isolates induce premature differentiation of neural progenitors in human brain organoids. Cell Stem Cell 20(3): 397-406. Cugola FR et al. (2016) The Brazilian Zika virus strain causes birth defects in experimental models. Nature 534(7606): 267–71. Dang J et al. (2016) Zika virus depletes neural progenitors in human cerebral organoids through activation of the innate immune receptor TLR3. Cell Stem Cell 19(2): 258–65. Garcez PP et al. 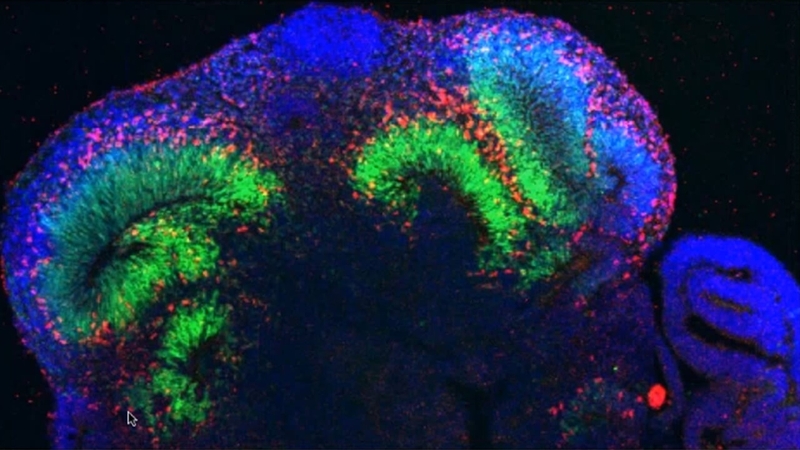 (2016) Zika virus impairs growth in human neurospheres and brain organoids. Science 352(6287): 816–8. Karzbrun E et al. 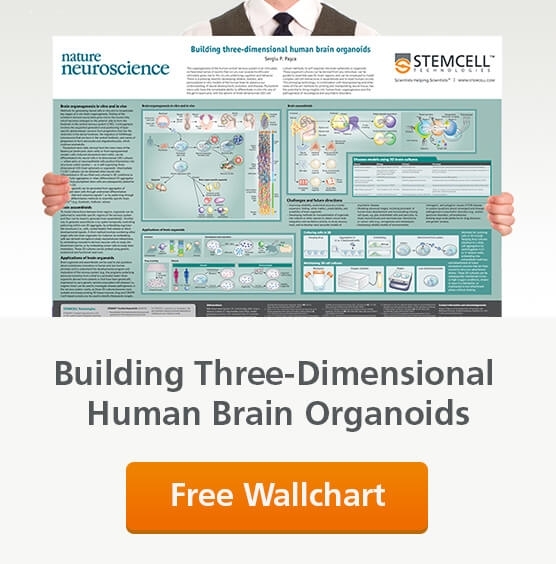 (2018) Human brain organoids on a chip reveal the physics of folding. Nature Physics 14(5): 515-22. Quadrato G et al. (2017) Cell diversity and network dynamics in photosensitive human brain organoids. Nature 545(7652): 48-53.